This is one of those conversations with people I have admired for a number of years. I met Peter Tunjic when Fast Company (FC) and the global coordinators of the magazine’s readers’ network, Company of Friends (CoF), got together in Denver, CO. It was the summer of 2000, a year of tempered optimism, when Craig Newmark was beginning to cause a stir and make a mark with craig-lists (he was invited to meet with the 101 coordinators and FC editorial staff). We gathered from the major and some minor cities in the US, London, Denmark, and even Australia and New Zealand. I was amazed at the sheer energy that event generated for all of us, for years to come. Peter lives in Melbourne and works at Thoughtpost. He is a commercial lawyer, business modeller and strategist with over 10 years experience supporting the implementation of strategies, innovation and corporate governance. 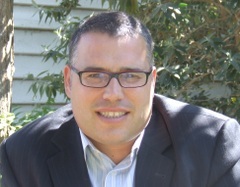 He is well known in Melbourne business circles as the founder of the Fast Company business forums. He co-authored the AICD program Boards and Reporting and is a guest assessor of business plan presentations for the Australian Graduate School of Entrepreneurship, Swinburne University. These are the thoughts we each contributed to a conversation on modern virtues—passion, popularity, sustainability, and innovation. Blogging was also on the list. Peter: I’m collecting my thoughts on blogging, it’s only taken a couple of years. Deep down, I suspect they’re not that healthy. I like the original bloggers: Pascal, Voltaire, Schopenhauer, Montaigne and the cryptic aphorisms birthed in India and Asia. I was raised on the classics and refer back to them often enough. Blogging is hard work. There is a need for people to think differently today, and some bloggers really do and aren't afraid to speak their mind. The other aspect of blogging I enjoy is the lack of boundaries with ideas. Peter: I’m currently thinking about the unexamined virtues of passion, popularity, sustainability and innovation, and I would like to examine the virtues of blogging. Basically I operate at a couple of levels. The useful delusions that help me get through life as a commercial lawyer and the rest is in flux— an unending composition of relative uncertainty. That is not to say I’m some sort of postmodern nihilist. No, I find trying to be compassionate and loving provides enough foundation to let the mind wonder about –- not lost –- more like an explorer (it’s funny you can only be lost if you think you should be somewhere else). So your choice of topic would also be mine, this is synchronicity. Your thinking truly resonates. As I age, I find myself more and more interested in the space between things— notes, words, events, etc. There is a lot of life happening there. I am gravitating towards Zen philosophy. The relationship between slow and fast (resistance) – leading to composition – think of a river – the direction is determined by resistance of the banks to the flow of water. The roll of patterns on composition (seasons, the way people walk to work). The relationship between what we intend (seen as intellect) and our intent (seen as behavior) on composition. Time as a poor measure of composition. I also play with metaphors— one I’m working on is chess where the pawns can never be taken off. They can move around and provide resistance to the other pieces. Blocking, channeling and basically having an influence, which is potentially greater than the intent behind any movement of a piece by choice. It helps to focus the mind on the pawns in life, strategy etc. Blogs started as diaries and this reminds me of the fact that many of us had a secret diary growing up. That was then. What I’m seeing now is the proliferation of public and business-focused blogs. Peter: By the way, I did start to blog a couple of years ago. But it wasn’t to communicate with the world but myself. I would post things that I had emailed to people up to the site. The idea being that over time the pattern of my thinking would become known to me. Likewise inconsistent thinking would show up. Publishing it on the web made it like observing a third person out of context. A useful exercise for a while. I then stopped. Which leads me to reflect on my uncomfortable relationship with blogging. I'm attracted to the idea that you sing your self into existence (an ancient Aboriginal concept). One cloud of thought is how blogging contributes to the "newsification" of everything. Everything is becoming news and seems to have the same 24-hour shelf life. But not everything is news (and is news important: it seems an enormous amount of time is spent on knowing something that will generally only be useful for the next 24 hours). What scope for insights with a half-life of lifetimes when today they're caught up in the virtue of new news. The other cloud of thought focuses on the bloggee. Are blogs the drug that feeds the addiction to news? I also wonder if it is better to remain formless (remain silent but aware) or to sing oneself into existence and remove "all" possibility of becoming. I'm deeply curious about the intention behind blogging. Again, there is nothing inherently bad with blogging but in a modern context is not necessarily all good. That's interesting. As a writer, sometimes I do not know what I'm thinking until I put it down on paper. I write longhand as well, especially when I read books. I take notes of my impressions, examples, points of reference vis-à-vis what I'm reading. I also use reading as a way to learn new language and ways that people use to express themselves. Peter: A final thought – It was Pope who said “always reading never read”. I wonder what he would have made of the blogging phenomenon. One of the conversation formats used at that event in Denver was open space. Before then, I had a vague idea of what open space meant. During one of those sessions, Peter organized a coup by creating a discussion around Fast Company in relationship to Company of Friends, the readers' network. I didn't know that it would be the prime example to me of how to make real open space. This should give you a flavor of where two people can go when they let the conversation guide the topic to a new place and decide to just show up. Thank you, Peter. I've tagged you to share "Five Things We Might Not Know About You." Happy New Year and I'll wave driving through KofP on the way to a team-building session today.